ATTENTION ALL DAD’S OUT THERE WHO HAVE LIL’ GIRLS!!! DADS, take your daughters on dates! sadness and disappointment and it broke my heart. I wonder how many more young ladies out there have never been on a date with theirs dads. One of my greatest joys as a dad is to take my girls on dates every so often. DADS, take your daughters on dates! It does not have to be something big. Just spend time with just them and make it just the two of you. It could be dinner and a movie, going for ice cream, to the park to play, going for a walk with them or taking them deer hunting (which Caity loves to do)! DADS, take your daughters on dates. 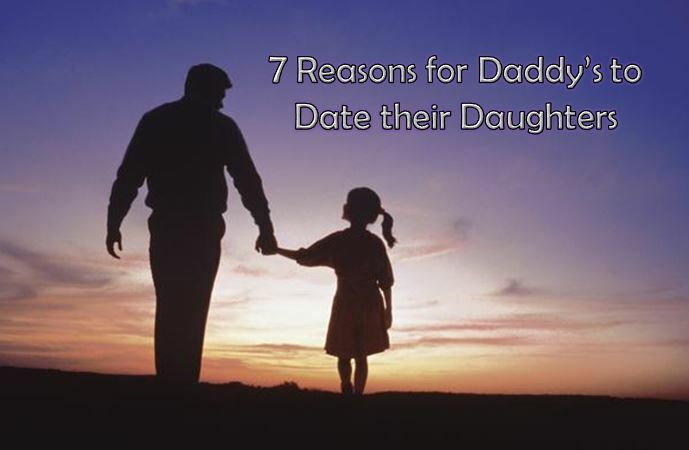 DADS, here are 7 reasons for you to take your daughters on dates! 2. It shows them how much you love them and that you will always be there for them. 3. It makes them feel special. In a day when a lot of dads are too busy for their children, it speaks volumes to them that their daddy wants to spend time with them. 4. They will see you completely differently; it shows them that you are ultimately their knight in shining armor. 5. It will give them memories of a life time of you spending time with them. 6. They need you. They need to spend time with you (Even if they really know it yet)! 7. Lastly, it’s for you! You will be completely blessed by the time that you spend with them. You will have memories that will last a life time, instead of having “I wished I would have” or “I should have” thoughts after they are grown and gone from your house. There are probably more reasons than these, but these are just the ones I thought of this morning. It is creating those God moments that will change both of your lives… Give it a try! Never stop dating them, even when they are teenagers. If you start early enough, then they will look forward to it when they are old. What are some other reasons why you should date your daughters? Also, what are some of your favorite Daddy/Daughter dates? *This was originally posted on my Facebook page on February 22, 2014. I made a few modifications throughout the post.